It’s the first Saturday of the new year! How have your first few days been? I hope you’re thriving and excited for what this year will bring you ❤ I would say that I am, despite this first week of the new year being a poo-show of one hard thing after another (read my Instagram post about what happened here, and find out how I’m “de-fogging” my motherhood goggles). But c’est la vie, I’d rather it all happen now rather than later on in the year! Do you have a word picked out to live by for 2019? I started doing this last year with my word being intentional, and loved the opportunities it gave me to be more mindful and, well, intentional about the way I live my life in all aspects. This year, my word came to me after experiencing a lot of s t u f f that made me stop and realize I am worth more than I am giving myself credit for. It was high time to embrace feeling enough over feeling unworthy or like I’m always falling short of other’s (and my own) expectations. The is the first day out of 365 chances for: new adventures / new (and second) chances / ways to make a difference, even if it’s the smallest one / learning when to say no / realizing your worth / choosing joy / intentional mornings / time to create new passions / making new memories / new friendships / better decisions / opportunities to try something new / refocusing + recentering / rekindling / realizing that you are absolutely positively e n o u g h just as you are. Now that I’m in my second trimester (I’m 22 weeks now! ), I’ve been devoting more time to working out and staying active. Whether it be going on walks outdoors or following fitness videos on YouTube, getting my sweat on is important to me to stay fit and healthy throughout this second pregnancy. Only thing is, I was in desperate need of updating my active wear with pieces that actually fit. I’m growing a lot faster this time around, and my previous workout clothes from being pregnant with izzy were a bit snug and constricting, making it hard to get motivated to workout. 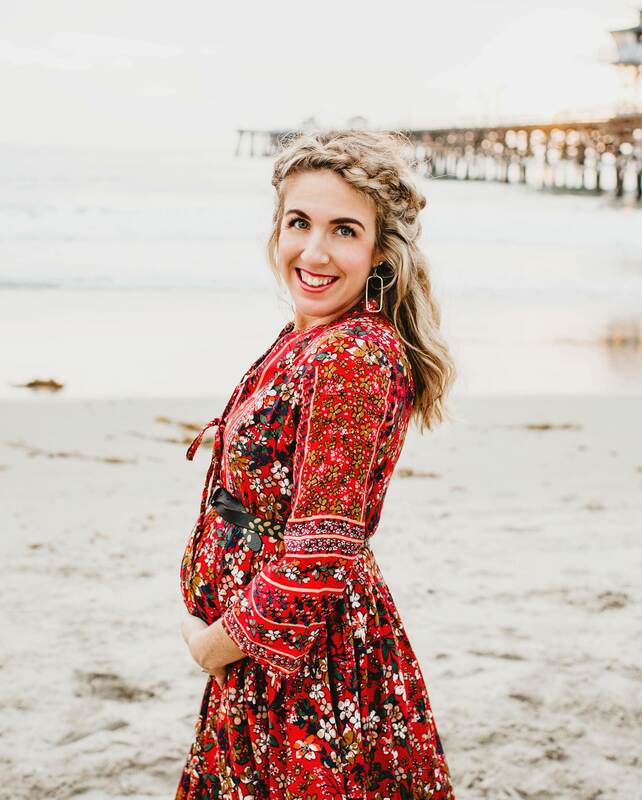 So when Pink Blush reached out to me to do a collaboration on dressing the bump, I was so excited to see what I could put together from their selection of trendy maternity clothes! I decided to go with maternity fitness clothing since it’s been a real struggle for me to find quality workout pieces that fit properly, were flattering, and stayed put while working out.